In 1970 Altynai Azylmuratova entered Leningrad Academic Choreography School, graduating from it in 1 978(her coach was I. Zubkovskaya). The year of her graduation she started working for the Maryinsky Theatre. She danced all the classical roles: Aurora, Lilac Fairy (The Sleeping Beauty), Odette-Odile (Swan Lake), music by Tchaikovsky, Raymonda (Raymonda, music by Glazunov), Giselle (Giselle, music by Adam), Kitri (Don Quixote), Nikia (La Bayadere, music by Minkus), Juliet (Romeo and Juliet, music by S. Prokofiev), Zarema (The Fountain of Bakhchisarai, music by B. Asafiev), Aegina (Spartacus, music by A. Khachaturian). She was the first to dance the part of Assiyat (Assiyat by Kazhlaev, 1 984, choreography by O. Vinogradov), Mary Magdalene (Proba, music by G. Presser, 1 988, choreography by A. Fodor). 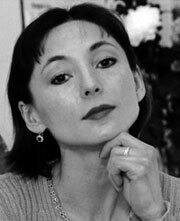 For several seasons, along with working at the Maryinsky Theatre, Altynai Azylmuratova was the leading dancer of London Royal Ballet, where she danced the parts of Manon (Manon, music by Massenet, choreography by MacMillan), Raymonda (Raymonda, music by A. GIazunov, version by R. Nureyev), and others. She also danced all the leading parts of the repertoire at Marseilles Ballet, headed by R. Petit. Awarded by Benois de la Danse diploma in 1996. Altynay Assylmuratova, member of the Jury and nominee of Benois de la Danse became rector of the National Choreographic Academy of Kazakhstan.